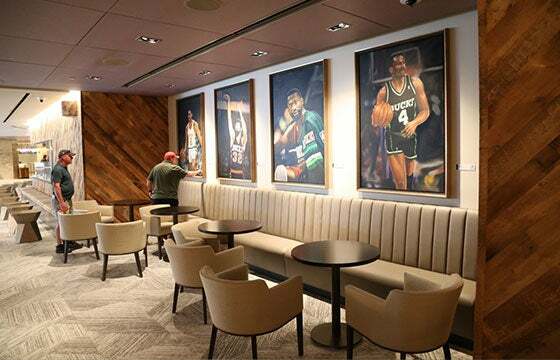 Fiserv Forum offers many great spaces for your next private event. 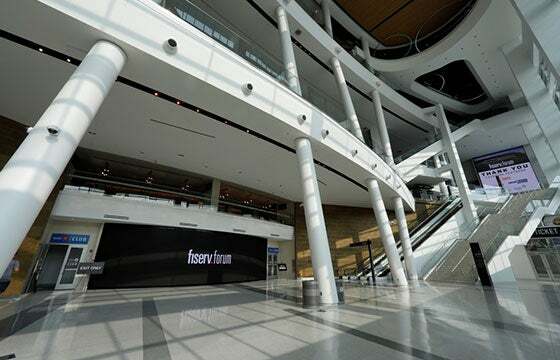 Located directly inside the main entrance, the Atrium offers an open, flexible space. With an entire wall of windows looking onto the Entertainment Block, the natural light creates unique event opportunities both day and night. 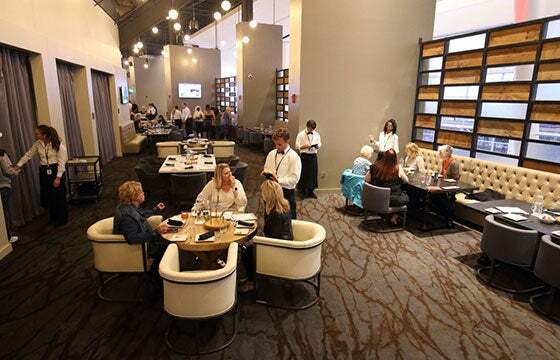 Located on the event level near the player tunnel leading onto the court, the BMO Club features wood-grain finishes and a lounge-like atmosphere, creating the ultimate social place for private entertainment. The Mezzanine Club is uniquely designed with no views into the playing bowl, but with open sight lines into the Atrium, creating a naturally-lit area. The horseshoe-shape offers variations of lounge seating, standing areas, and places for breakout sessions all within the same setting. The West Bend Lofts offer a secluded area on the suite level that can scale across small, medium and large capacity-types, depending on the event. Multiple entryways from the suite landing into the West Bend Lofts creates natural flow into and out of the vent space, setting up dynamic solutions for creative events. Capitalizing on open space that lends itself to easy flow to the Coors Light Bar and the Panorama Club, the Upper Concourse – East Zone is flexible for event setups and can serve as the perfect auxiliary space for big groups also utilizing the Panorama Club. 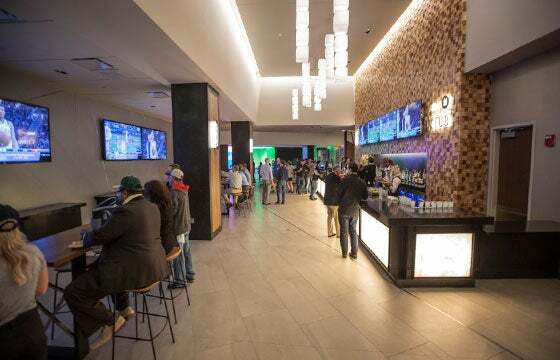 The Panorama Club sits at the top level of the arena, with open views into the Atrium and playing bowl, as well as an outdoor patio with panoramic vistas of Downtown Milwaukee. The Panorama Club has a dedicated service kitchen and is unlike any entertainment space of its kind in the region, designed for event types ranging from birthday parties to cocktail parties and awards ceremonies. The Boardroom is one of the few available areas specifically designed for high-end business meetings. Located on the event level near the BMO Entrance, this closed-off room is the perfect place for important meetings that require intimacy and a professional atmosphere. 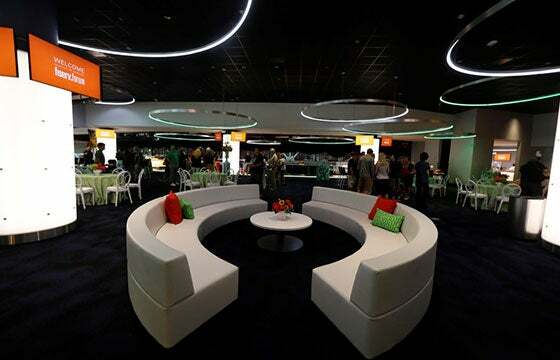 The Green Room is the main VIP area for all touring acts that play Fiserv Forum. The room features a fixed, wet bar area, full-sized refrigerator and lounge furniture that serves as a perfect setup for a mixed-use setting. The Green Room is secluded enough so that no noise creeps in from activity in the playing bowl. Please fill out the form below to learn how we can accommodate your next private event. A representative will follow up shortly.